What's your at work knife and your occupation? Discussion in 'General Knife Discussion' started by res1cue, Dec 9, 2011. I work online via telecommute for a company in the U.S. I carry whatever I want and generally have three or four more scattered around my desk. The best work knife for me is the one I can abuse, and it won't break and afford to leave behind on a job. So the best is probably a Kershaw Blur. My favorite is my Benchmade Ritter Griptillian or I just got one of those Spyderco Manix II's in moonglow. Love them both, but can't afford to destroy them and keep replacing them. full time student/wilderness survival and camping instructor at a scout ranch/commercial Dive tender. for school, anything no one seems to care which is nice. for the scout ranch anything though if its a FB or bigger then 3in its not within view of scouts. I'm currently a student enrolled in a paramedic program. I carry an original style Leatherman Wave, along with a Chris Reeve Umnumzaan. The Leatherman acts as my utility tool, and gets far more use than any other knife I own. The Umnumzaan (which replaced the Microtech Socom Manual I edc'd) follows my rule of having something that I can fully rely and use in the event of sheer catastrophe. Et al, in the event that I need to cut something, right there, right now, I'd whip out my Umnum. Sometimes I'll carry a Microtech Ultra-tech just for giggles, but its illegal, so I try not to. online mktg / sales - whatever I want - usually a Case SBJ but occasionally something bigger like today a Buck Strider or OTF or Balisong. Slayer of demons and my knife is a bk9. My other job I'm a maintenance tech at a nursing home and I carry a Leatherman wave, and a kfu edc custom fixed blade in my waistband. I also have been known to carry a bk10/swamprat m6/sykco 511 in my pack in my locker along with some other blades. My newest are a para 2 and a Zt 0350 so the rotation is getting a shake down. Finance manager of the largest dealership in my city (city is relative though, this being Maine.) Wear a suit all day, so my EDC is a Busse Battle Mistress in a drop leg. Just kidding, I actually carry a Strider SMF, which is surprisingly easier to pull off in dress pants and khakis than jeans. Work in an office environment. Carry everything from a Case Peanut to Spyderco Para2 depending on my mood. Carry a Three Sisters Forge-Beast! Sage 2/3 or Para1 in d2/s30v depending on office or job site environment. I'm a full time student at a uni so my edc is usually my umnumzaan, hest 2.0, or my para 2. My ghb is in my car though which houses my scrapmuk and esee 6. I am a Podiatrist (almost 20 years now! 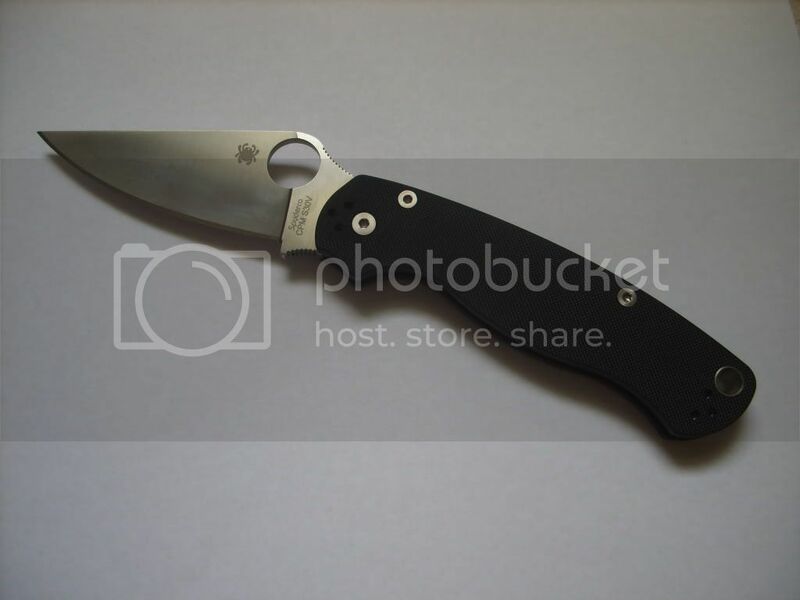 ), and I generally use my Spyderco PM2. Sometimes, I'll carry around a Case Peanut. At work I carry a Victorinox Cybertool 41 on my keyring. Sometimes I will switch it out for either a Leatherman Juice CS4, Swisschamp, or Climber/Gerber clutch combo. I always carry a locking one-handed folder in my right pocket, usually a Spyderco Tenacious. Shipping and receiving here. I carry a SAK soldier. Old style. The awl is great at opening boxes to save my main blade from getting tape glue all over it. RebelSon and Getting older like this. I am a master certified auto technician and carry a first production run CRKT ripple, it gets the crap beat out of it, it is missing a few bearings in the IKBS, very tiny ball bearings, but still smooth as silk, when it is not full of grit.